Her article highlights that the need for vocal contact is still alive and well. And for some of us, of course, the phone call never went away. His roommate asks, “Did you try calling her on the telephone? Talking to someone on the phone is still an important way to communicate in business – you can get immediate feedback/acknowledgement, you can eliminate the back-and-forth aspects of texts or emails, and you can have the sound of your voice enhance your message. You can also have more in-depth discussions. My former social media intern always calls me when she needs to discuss her next career move, although she usually emails or texts me with her regular communication updates. 3. Do not use a Bluetooth headset in the office. It looks like a cockroach in your ear. (Yes, I do have strong opinions about this.) I am not talking about the hands-free headset that receptionists use. I am talking about headsets often used when people are walking and talking, making you think they are talking to themselves. Or even worse, you think they are talking to you, and may start to respond. This thoughtless behavior by the headset-wearer is just rude. 4. Use voicemail professionally. Many people don’t leave messages when making personal calls. They know that people will see that they called, and call them back. In business, people do leave messages. If you are the one leaving the message, make your points in as few words as necessary. If you ramble, people are likely to stop listening. Also, the outgoing message on your system – the one asking people to leave a message – needs to be appropriate. Saying, “Hey, you’ve reached me. You know the drill,” is not okay. Let people know the name of the person they have reached, and that you will call them back. 5. Don’t speak too loudly. People still need to be reminded to speak in a quiet, conversational voice when they are on the phone. If the people around you are giving you evil stares, chances are you need to lower your volume. 6. Do not make blanket excuses. When sending emails from their smartphones, some people add a generic message at the end, such as: Please excuse typos and the brevity of this message. Sent from my mobile device. Mentioning possible mistakes only seems to highlight any that you have made. Take the time to proof and correct your messages before you send them. Pachter & Associates provides training and coaching on business communication. For additional information, contact Joyce Hoff at joyce@pachter.com or 856.751.6141. Nice article. I especially like #2. I can't tell you how many times I have been in meetings where teammates and management would constantly look at their cellphone. The managers were worse than the teammates. Their reason was they had to keep up with their email in case there was something important. What could be more important than the meeting than they were in? I think they felt more important and wanted others to think they were extremely busy by constantly looking at their cellphone and scroll through their emails. I found this rude and non-professional. Tip #2 has really hit home with a lot of people. Thanks for your comments. Article writing is usually an artwork, which includes advanced during the last several years These days, this particular work can certainly used by overhauling the best way a website appears to be and, so, provides consumers with a new viewpoint about the same. wwwritingservice is really very high quality writing providers. Thanks for your nice information. If you want usa roommates service you try this Roommatefinder site one of the best Rent services for living places in the US. Take a picture of the real writing industry situation, will you? i didnt think so either! 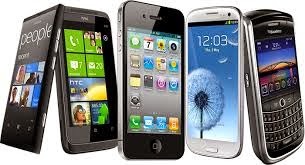 Due to modern techniques and digital world, we are start using or it's better to say we are getting addicted towards the use of Smartphones, apart from communication these are also using for business deals for example checking mails, client communication, and many other different ways. Use of smartphones is now very common in different sectors and especially in business their importance are really appreciable. this procedure at the steps required to play mobdro 2017 also above version gadgets just. Aside from android. For every business communication is really important, it helps to build a relationship between the client and customers. But it is also quite tough to take advantage of the communication every time, during traveling and holidays, it is tough to be in touch with our business clients. Therefore, online concepts are quite helpful for us. Business owners are using Smartphones for better communication, it allows us to check email, client communication, business calls, and many other online activities.